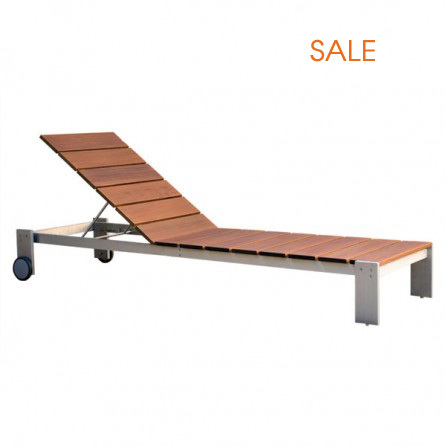 Luma Adjustable Chaise Lounge is impressive visually, as well as functionally. Clean-lined, precision machined, solid aluminum components are joined with exposed, inset stainless steel hardware to create a geometrically inspired line. With its base structure of recycled content aluminum that is milled, grained and marine-grade anodized, Luma is the perfect solution for coastal environments. Luma is a full breadth line with dining, bar height, lounge, cafe and pool setting pieces included. See the entire Luma Collection here.